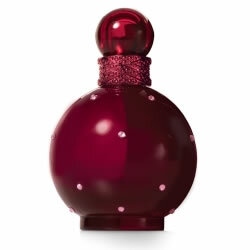 Britney Spears Hidden Fantasy perfume is a sweet nectar of sparkling citrus blossoms, succulent florals and mysterious musks. This seductive perfume shares a secret of warm sensuality that is impossible to hide. Britney Spears Hidden Fantasy has an uninhibited imagination and conveys powerful emotions with a burst of Sweet Orange and Tangerine that lie intimately alongside delicate Grapefruit Blossoms and French Flowering Verbena.